Pre-order now. Get $3 movie credit on release. Learn more at http://watchvudu.com/preorderpro The best intentions often come back to haunt you. 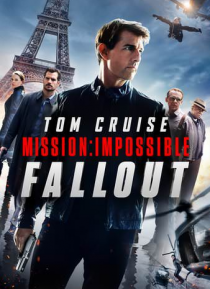 MISSION: IMPOSSIBLE - FALLOUT finds Ethan Hunt (Tom Cruise) and his IMF team (Alec Baldwin, Simon Pegg, Ving Rhames) along with some familiar allies in a race against time after a mission gone wrong.